The AP government has sent financial proposals to the center on the total expenditure required for completion of the Vijayawada metro rail project for its approval. The state estimated the total cost of Vijayawada metro rail project at Rs.7,212 crore. The state hopes to get a major portion of funds from Japan International Cooperation (JICA) as loan. It proposed Rs.3,600 crore for Vijayawada Metro rail project as loan from JAICA. In the financial proposal, the state said that, the central and state government will have equal equity of 14.44 per cent in Vijayawada Metro Rail Project. 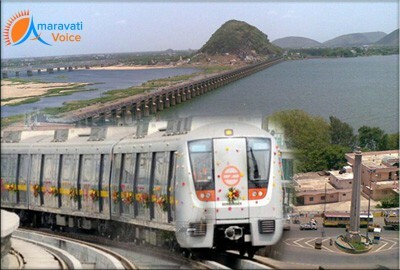 The state will provide Rs.860.50 crore as its equity for Vijayawada Metro Rail Project. The central government also has to provide the same amount as its equity. The financial proposals are under the consideration of the central government. Once the center accepts the proposals, it would release the funds in phased manner.